15m was the money band for the CQ WPX SSB contest. I got ten new entities. I wish I had more time to operate. I worked ZL8X before having to send my Yaesu FT-450AT to Yaesu for service. When I tried working them barefoot, no reply. Turned on the borrowed linear, and ZL8X replied on the first call. Now I am sending in my rig to get the CW plug fixed. Author NS6TPosted on November 26, 2010 Categories Ham radioLeave a comment on Worked ZL8X! Thanks to N6WM, I will be using a linear amplifier for the ARRL Sweepstakes this weekend. I also have a new 80m inverted-L antenna and better elevation for my fan dipole. 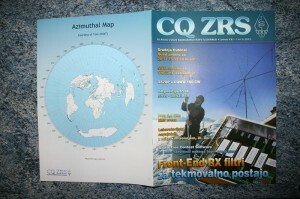 The azimuthal map service went online in January 2010. 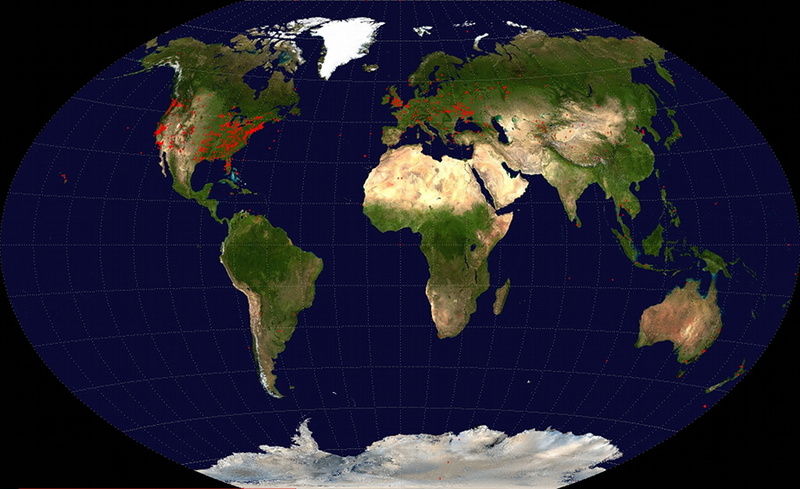 As of today, over 14,490 azimuthal maps have been successfully created by the server. There have been visits by over 100 countries. 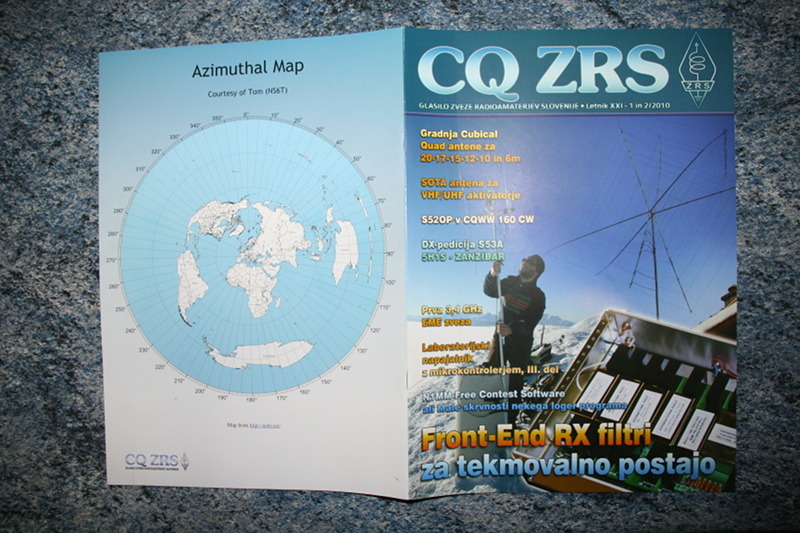 Thanks to Bostjan – Ian (S55O) for publishing one of my maps on the back cover of CQ ZRS, a magazine for Slovenian amateur radio operators. How do big print outs look? I’ve never actually printed a very large map, and I am curious how it looks. If you’ve printed a poster sized map, I would be curious to hear how it looks. Author NS6TPosted on May 5, 2010 Categories Uncategorized1 Comment on How do big print outs look? 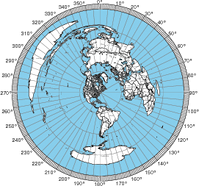 I added a new feature to the azimuthal map program to give people the option to add a latitude/longitude grid and Maidenhead grid square labels. This turned out to require an adventure in the world of cubic spline interpolation, but that’s a story for another time. These new features are turned off by default because the map is already pretty dense with information. Author NS6TPosted on May 5, 2010 May 5, 2010 Categories Azimuthal1 Comment on Now with latitude/longitude grids! 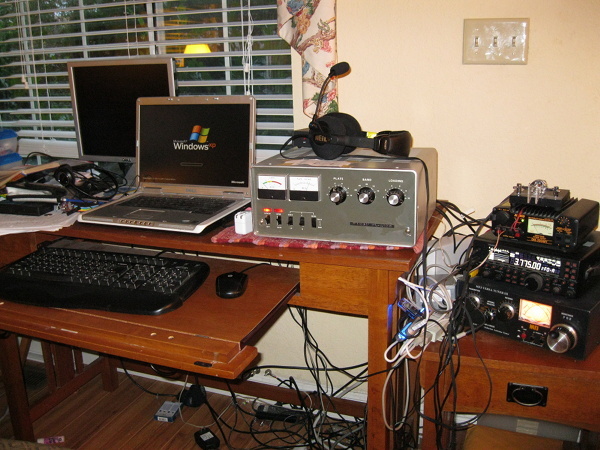 In celebration of Boy Scouts of America’s 100th anniversary, Northern California BSA is having a jamboree, and East Bay hams are putting on a jamboree on the air (JOTA) station to give scouts a chance to get on the air. The station call sign is WZ6BSA, and it should be accessible via HF, VHF (including IRLP), and satellite (when visible from CM97bp). You can get more information here. I am going to be the HF control operator 9am-1pm PDT tomorrow. Author NS6TPosted on April 11, 2010 April 11, 2010 Categories AzimuthalLeave a comment on Want to see where maps have been generated for?